Book your Shaw Park Beach Hotel transportation from Montego Bay and enjoy our EASY BOOKING system - Booking online is easy or simply send us your travel details and we'll email your confirmation voucher. Your Shaw Park Beach hotel taxi is private with no unwanted stops. Ride in our comfortable vans, cars or busses, fully air-conditioned, comfortable seats and luggage space. Montego Bay airport transfer to Shaw Park Beach Resort gives you a sence of comfort, as soon as you clear the MBJ Airport customs proceed to the front exit of the arrivals hall where our agent will be waiting holding a sign with your name. Booking early gurantees a great rate and take the hassle out of trying to get a cab upon arrival, avoid the high price at the airport and book your transportation to Shaw Park Beach Resort Ocho Rios now, enjoy the savings and ride in comfort. Our Shaw Park Beach Resort Ocho Rios airport transfer bus service is a great choice when you wish to go directly to the resort without any unwanted stops or when you wish to go at your own pace and with us, it is very affordable. Shaw Park Beach Resort Ocho Rios airport transfers are provided to or from the airport. 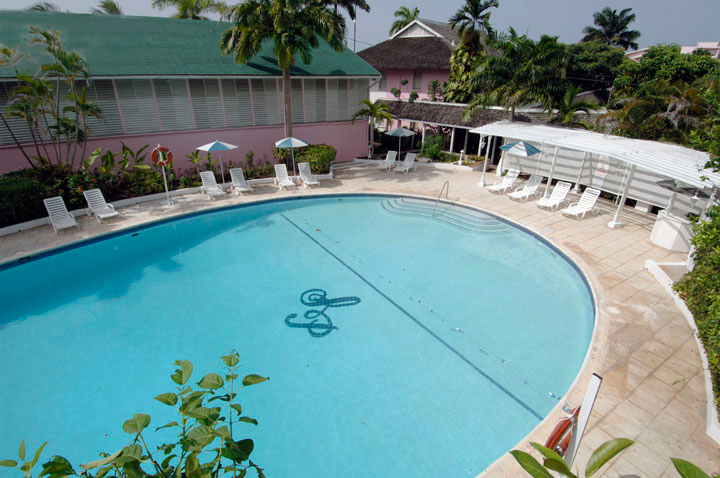 Shaw Park Beach Hotel & Spa is one of the original all-inclusive resorts in the popular destination of Ocho Rios, Jamaica. It has long been a favorite among discerning travelers seeking a window into the old Caribbean – one of charm, elegance and unparalleled serenity. Shaw Park is conveniently located minutes from downtown Ocho Rios and within driving distance of Sangster International Airport in Montego Bay. Shaw Park Beach Hotel & Spa features 94 oceanfront guest rooms, including 12 two-bedroom suites that radiate classic Caribbean charm. Spacious and cheery, each room has private terraces with stunning views of the Caribbean that will make your Jamaican vacation an unforgettable one. Thanks for being there for me, my flight got delayed and I was worried you would not be there, Romaine was at the terminal waiting holding my sign, I felt a relief, it was just past 12am. I really appreciated that, I felt safe on my drive to the hotel, my boyfriend booked our trip as a surprise and we had a blast, the hotel is fantastic.